Bluegrass, gospel and country music fans have certainly enjoyed the wonderful selection of tunes on the album with standout tracks like “Amazing Grace” with special guests Jimmy Fortune, David Parmley & Dale Perry; “Come To Jesus Moment” written by Rick Stanley & Donna Ulisse; “Morningtime Always” written by Bill Castle and Levon McCall; and more. “If You Want To Live Forever,” written by Randall Hilton, has appeared numerous months on Powergrass Radio’s Top 10 Gospel Chart. The album was produced by Ben Surratt and Larry Stephenson and includes Kenny Ingram, Colby Laney, Danny Stewart, and Aubrey Haynie. Larry Stephenson, a member of the Virginia Country Music Hall of Fame, is also a 5-time winner of the SPBGMA Contemporary Male Vocalist of the Year Award, winner of the 2012 SPBGMA Mandolin Player of the Year Award, and is a 2-time winner of the International Bluegrass Music Association Recorded Event of the Year Award. For more information on the Larry Stephenson Band, please visit their website or Facebook. Fans can buy their music at iTunes, Amazon, and CD Baby. 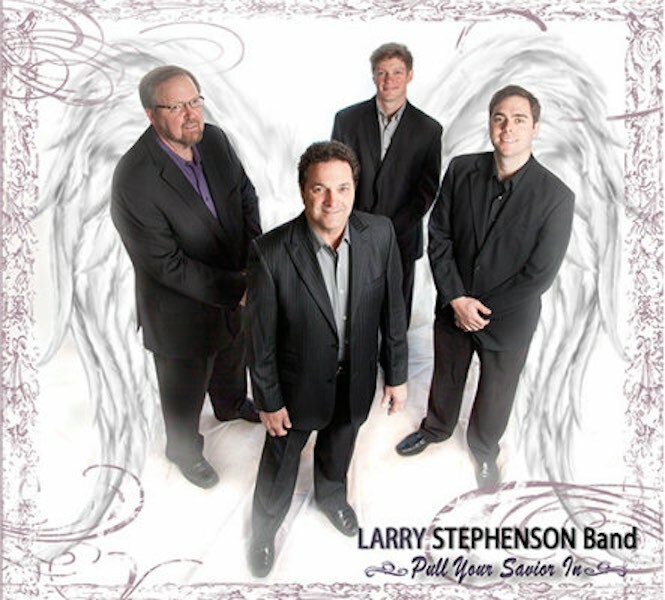 Physical copies of Pull Your Savior In that includes a special Bonus Track, can be purchased at larrystephensonband.com.